Remember that cryptic teaser poster from yesterday? Well, it didn't take long for Xiaomi to confirm that we read it right - the Mi Mix 3 will be among the first 5G-supporting smartphones on the market as well as the first one to feature 10GB of RAM. 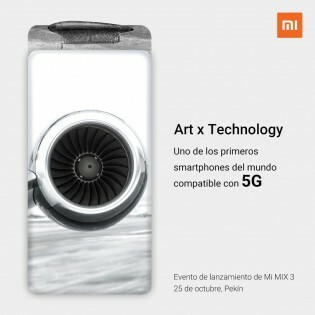 The first official confirmation of the 5G support comes from Xiaomi Spain while the 10GB of RAM rumor was backed up in a Weibo post. Here are the two posters that also subtly hint of the slide-out cameras. Let's face it, 10GB of RAM is excessive, and will likely mostly serve as bragging rights, but the 5G networks are coming shortly and they might be a big deal. While most markets won't get them before late 2019 and that's us being optimistic, it's probably good to be prepared for that. 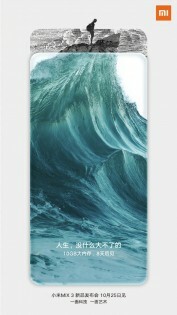 What slightly bothers us is that there aren't any 5G-supporting chipsets in the market yet, so the Mi Mix 3 will most probably need to adopt an external modem - likely one of Qualcomm's X24 or X50 working side by side with the Snapdragon 845, which in turn will affect battery life in a negative way. Or the phone might just wait for the Snapdragon 8150 to arrive before entering production, which would suggest it's not coming until next year.